A rapidly growing body of research is revealing the many dimensions in which character strengths promote our health, happiness and well-being. Character strengths are ways of thinking, feeling, and behaving that promote human flourishing and facilitate exceptional performance. They’re essential to an individual’s core character. Each of us have signature strengths, the character strengths most central to our identity. Here are some clues for spotting them: They’ll be displayed the majority of time in relevant settings, readily named and owned by the individual, and easily recognized by others as characteristic of the individual (Peterson & Seligman, 2004). Signature strengths have a rapid learning curve, are invigorating to use, involve a sense of authenticity (“this is the real me”) when used, and the very act of using them is energizing and intrinsically motivating (Seligman, 2002). Identifying our signature strengths allows us to explore them more deeply and translate abstract character traits into concrete actions. We develop self-confidence and a practical wisdom that enables us to use our strengths to manage adversity, solve problems and improve our lives and the lives of others. How many signature strengths do we have? While we’re all different, some VIA Institute studies found that one-half of individuals had 11 or more signature strengths; others found that only one-third of individuals had 11 strengths, depending on how stringent the criteria. Around half of us appear to have 7 or fewer signature strengths. Turns out, the average number of signature strengths that people think of themselves as having is larger than researchers proposed (Mayerson, 2013). Jack of all strengths. We all know someone who’s a jack of all trades… is it possible to become a “jack of all character strengths?” One study suggests it is. Both signature strengths and strengths balance were found to uniquely predict higher well-being. There’s clear evidence that identifying and using one’s signature strengths is beneficial, but by emphasizing signature strengths, do we inadvertently overlook other less-developed strengths that might be as valuable to develop? Studies show that a balanced approach may be the most effective route to creating and sustaining well-being. Strengths balance allows us to develop a larger psychological toolkit, which may better enable us to adapt to the demands of various situations and achieve the best possible outcomes (Young et al, 2014). Using signature strengths in new ways relieves depression, increases hope. Two studies showed that using one’s signature strengths in a new way increased happiness for 6 months and decreased depression for 3 months (Mongrain & Anselmo-Matthews, 2012; Gander et al, 2012). Another study showed that, among youth, personally meaningful goal-setting combined with using signature strengths in novel ways led to increases in student engagement and hope (Madden et al, 2011). Progress strengthens well-being. One study revealed that the strong connection between well-being and use of signature strengths was that using our strengths help us realize progress toward our goals and meet our basic needs for independence, relationship, and competence (Linley et al., 2010). Character traits are universal across all human beings, all cultures. If we ever doubted that, research is proving it. For example, VIA character strengths studied in the U.S. were found to be remarkably similar across 54 nations (Park, Peterson, & Seligman, 2006). Highly correlated rates of agreement, desirability, and development of character strengths have been found between such disparate cultures as Kenyan Maasai & Inughuit in Northern Greenland and University of Illinois students (Biswas-Diener, 2006). The Top 5. The most prevalent character strengths across all cultures are (in descending order): kindness, fairness, honesty, gratitude, judgment (Park et al, 2006). The most prevalent character strengths in one UK sample were open-mindedness, fairness, curiosity, love of learning, and kindness (Linley et al., 2007). Women scored highest on the strengths of honesty, kindness, love, gratitude, and fairness. Men scored highest on honesty, hope, humor, gratitude, and curiosity (Brdar, Anic, & Rijavec, 2011). Life satisfaction… For women, life satisfaction was predicted by: zest, gratitude, hope, appreciation of beauty/excellence, and love. For men, life satisfaction was predicted by creativity, perspective, fairness, and humor (Brdar, Anic, & Rijavec, 2011). Women scored higher on gratitude than men (Mann, 2014). Are character strengths universally heritable? Character strengths are only moderately heritable — the rest is cultivated (Steger et al, 2007). Environmental contagion. Twin studies show that love, humor, modesty, and teamwork are most influenced by environmental factors (Steger et al., 2007). Good character drives “flow.” Pleasure, flow, and other positive illuminative experiences were found to be enabled by good character (Park & Peterson, 2009a; Peterson, Ruch, et al, 2007). Do character strengths directly cause life satisfaction? Current literature does not seem to conclusively answer this question. Some psychologists interpret the relationship between character strengths and life satisfaction as aligning with Aristotle’s notion of eudemonia (or eudaimonia, in Greek), commonly translated as happiness or welfare. The modern view of eudemonia might be best encapsulated by the phrase human flourishing. Aristotle’s view was that happiness results from a life actively governed by reason and that well-being — happiness and fulfillment — is not an eventual consequence of virtuous action; rather it is inherent in virtuous action. When we do a favor for someone, feeling satisfied about our act is an inherent property of taking “right action,” just as grace is a property of an accomplished dance performance, not an outcome or effect of the dance, or a separable emotional gloss. Plato and his followers framed the concept of eudemonia as: The good composed of all goods; an ability which suffices for living well; perfection in respect of virtue; resources sufficient for a living creature. You can never have too much. One study found that excess of any one character strength does not diminish life satisfaction (Park et al, 2004). The Big 4 for life satisfaction. Studies suggest that the big four strengths most closely associated with life satisfaction are: Hope, zest, gratitude, curiosity, and love. Modesty and intellectual strength were the least correlated with life satisfaction (Park et al, 2004). A second study that confirmed the Big 4 also found that the strengths of hope and spirituality were the best predictors of future life satisfaction (Proyer et al., 2011). Character strengths most associated with the meaning route to happiness were: religiousness, gratitude, hope, zest, and curiosity (Peterson et al., 2007). Character strengths most associated with the engagement route to happiness were: zest, curiosity, hope, perseverance, and perspective (Peterson et al., 2007). Character strengths most associated with the pleasure route to happiness were: humor, zest, hope, social intelligence, and love (Peterson et al., 2007). And perhaps not surprisingly, the pursuit of meaning and engagement routes were far more predictive of life satisfaction than the pursuit of pleasure (Peterson, Park, & Seligman, 2005). Transcendence predicts life satisfaction. In a study that examined how different strengths were relevant for different positive outcomes, transcendence strengths were found to be the strongest predictor of life satisfaction and positive affect (emotional state). Leadership was found to be the strongest predictor of self-efficacy (Weber et al., 2013). The virtuous circle. One VIA study of character strengths use by women in the workplace found that the very act of using strengths always created a “virtuous circle:” Strengths use helped women overcome obstacles that had impeded strengths use (Elson & Boniwell, 2011). The Big 5 of work satisfaction. Across occupations, curiosity, zest, hope, gratitude, and spirituality were found to be the Big 5 strengths associated with work satisfaction (Peterson et al., 2010). A zestful “calling?” When we view our work as a “calling,” we tend to view it as a source of fulfillment that’s socially useful and personal meaningful, rather than as financial reward or career advancement. The work-as-calling factor is heavily associated with and predicted by the character strength of zest (Peterson et al., 2009). Potential pathways for increasing zest, particularly in the workplace, are: cultivating optimism, gratitude or savoring success; emphasizing good social relationships outside work; and focusing on physical health and fitness (Peterson et al., 2009). Character increases ambition. Character strengths — especially zest, perseverance, hope, and curiosity — were found to play a key role in health and ambitious work attitudes and behavior (Gander et al, 2012). Honesty and integrity in top-level leaders and execs. A unique study of top-level executive leaders of for-profit companies examined the strengths of honesty/integrity, bravery, perspective, social intelligence, finding that while each was important for performance, honesty/integrity was the biggest contributor to the variances found in executive performance (Sosik et al., 2012). Wisdom, creativity and stress. A study of the Wisdom strengths (creativity, curiosity, judgment, love of learning, and perspective) found these five strengths to be associated with higher performance on creative tasks and that they were negatively related to stress (Avey et al., 2012). Top 10 strengths expressed on the job. Studies have found that the top 10 strengths expressed at work are: honesty, judgment, perspective, fairness, perseverance, love of learning, leadership, zest, curiosity, social intelligence (Money et al, 2008). Best matched to demands. What strengths seem to be best matched to work demands? Honesty, judgment, perspective, fairness, and zest (Money et al, 2008). Military trust. Military leaders’ character strength of humor predicted their followers’ trust; however, the followers’ character strength of perspective earned their leaders’ trust (Sweeney et al., 2009). Building and promoting good character among the young are a primary goal of families, schools and societies. Certain character strengths have been found to reduce youth behavioral and emotional problems, such as depression, delinquency and violence and produce desired outcomes such as school success, prosocial behavior and skills competence. Which strengths predict overall success in school? Character strengths of the mind (e.g., self-regulation, perseverance, love of learning) have been widely found to be predictive of school success (e.g., Weber & Ruch, 2012b). Early strengths. The most prevalent character strengths in very young children (aged 3 to 9) are: love, kindness, creativity, curiosity, and humor. Gratitude is associated with happiness in older children (Park & Peterson, 2006a). The high achievement/GPA strengths. Strengths that predict high GPAs in college students are: perseverance, love of learning, humor, fairness, and kindness (Lounsbury et al., 2009). In another study, after controlling for IQ, the strengths of perseverance, fairness, gratitude, honesty, hope, and perspective predicted higher GPA (Park & Peterson, 2008a). Character and popularity. Popular students, as identified by teacher ratings, are more likely to score highly on civic strengths such as leadership and fairness, and temperance strengths of self-regulation, prudence, and forgiveness. Interestingly, none of the humanity strengths, such as love and kindness, were related to popularity (Park & Peterson, 2009b). The curious effect of curiosity. In a study of nearly 1,200 kids who wore a beeping watch which prompted them to write about their thoughts, feelings, and actions 8 times per day, the most curious kids were compared with the bored kids (top 207 and bottom 207). The curious were more optimistic, hopeful, confident and had a higher sense of self-determination and self-efficacy, believing that they were in control of their actions and decisions. The bored kids, on the other hand, felt like pawns with no control over their destiny (Hunter & Csikszentmihalyi, 2003). Putting strengths to use. One 6-session character strengths program encouraged students to notice and affirm strengths in each other and to use those strengths to pursue their personal goals. The results showed that, at 3 months post-test, 9-12 year-olds scored significantly higher on class cohesion, relatedness, engagement and well-being, and lower on class friction. In addition to experiencing higher positive emotional states, the kids scored significantly higher on strengths use (Quinlan, Swain, Cameron, & Vella-Brodrick, 2014). Which character strengths do kids inherit? Heritability of strengths between parents and child have been found to be modest with the exception of spirituality, in environments where it’s substantial (Peterson & Seligman, 2004). Strengths to develop. The character strengths that have a developmental trajectory; that is, they are least common in youth and need to increase over time through cognitive maturation are: appreciation of beauty & excellence, forgiveness, modesty, open-mindedness (Park & Peterson, 2006a; 2006b). Other-oriented strengths. Among high school students, other-oriented strengths (e.g., kindness, teamwork) predicted fewer depression symptoms while transcendence strengths (e.g., spirituality) predicted greater life satisfaction (Gillham et al., 2011). College satisfaction. The strongest predictors of college satisfaction are: hope, social intelligence, self-regulation, and fairness (Lounsbury et al., 2009). What does it take to be the best of the best? Those who are the best of the best at using signature strengths — the “capitalizers” — may become capitalizers, in part, because they also maintain social support and build on successful experiences that give them the confidence to apply their strengths in new ways (Bowers & Lopez, 2010). Two dimensions of character. One study compared the effects of emphasizing moral character development or performance character development over 1 school year in early adolescents at 3 high-performing, high-poverty urban middle schools. (Performance character consists of the qualities that allow people to regulate thoughts and actions in ways that support achievement in a particular endeavor. Moral character consists of the qualities related to striving for ethical behavior in one’s relationships with other individuals and communities.) The study found that focusing on moral character development programs led to significantly higher levels of integrity. However, focusing on performance character development led to significantly higher levels of perseverance and community connectedness, suggesting that a balanced approach may be the most beneficial (Seider et al, 2013). Character leads to improved vitality, self-esteem and well-being, and less stress. In a study employing a new scale designed to be a longitudinal predictor of how character strengths affect well-being, character strengths use was found to be an important predictor of well-being; in fact, people who reported greater use of their strengths developed greater levels of well-being over time. Specifically, at both 3- and 6-month follow-up, greater strengths use was related to greater self-esteem, vitality, and positive affect, and lower perceived stress. The study evaluated the difficulties and obstacles impinging on well-being, vitality, the self and identity (self-esteem) aspect of well-being, and the availability of sufficient self-regulatory resources to successfully navigate the challenges of daily life (Wood et al., 2011). Use your strengths a new way to increase happiness, decrease depression. Using signature strengths in a new and unique way was found to effectively increase happiness and decrease depression throughout a 6-month period (Seligman et al, 2005). Character helps us live with physical disorders. For people with a physical disorder, there’s less of a toll on life satisfaction if they’re high on the character strengths of bravery, kindness, and humor. The study also found that physical disorder had less impact on life satisfaction for those high on the character strengths of appreciation of beauty and excellence and love of learning (Peterson, Park, & Seligman, 2006). The law school stress buffer. A study of 75 top law school programs found that encouraging students to utilize their personal strengths may act as a buffer against psychological distress in law school. Using top character strengths led to a decreased likelihood of depression and stress and an increase in satisfaction (Peterson & Peterson, 2008). Well-being… driven by head or heart? The strengths of the “heart” (e.g., love, gratitude) are more strongly associated with well-being than are strengths of the “head” (e.g., creativity, open-mindedness/judgment, appreciation of beauty and excellence (Park & Peterson, 2008b; Park, Peterson, & Seligman, 2004). Character heals trauma. Post-traumatic growth has been found to correspond with certain character strengths: improved relationships with others (kindness, love), openness to new possibilities (curiosity, creativity, love of learning), greater appreciation of life (appreciation of beauty, gratitude, zest), enhanced personal strength (bravery, honesty, perseverance), and spiritual development (religiousness) (Peterson et al., 2008; Tedeschi & Calhoun, 1995). Top stress-trauma buffers. The character strengths of hope, kindness, social intelligence, self-regulation, and perspective were found to buffer against the negative effects of stress and trauma (Park & Peterson, 2006c; Park & Peterson, 2009a). Strengths that reduce aggression. Persistence, honesty, prudence, and love were substantially related to fewer externalizing problems such as aggression (Park & Peterson, 2008a). Strengths that reduce anxiety and depression. Hope, zest, and leadership were substantially related to fewer problems with anxiety and depression (Park & Peterson, 2008a). When mindfulness meets character. Integrating mindfulness and character strengths creates a synergy of mutual benefit that can foster a virtuous circle in which mindful awareness boosts strengths use, which, in turn, enlivens mindfulness (Niemiec et al, 2012). Spirituality improves self-regulation, impulse control. A series of studies found a relationship between one dimension of spirituality/religiousness (positive/neutral reminders of God) improved self-regulation. Participants demonstrated both decreased active pursuit of unhealthy impulses and increased temptation resistance (Laurin, Kay, & Fitzsimons, 2011). Protection against risky drinking. One study found that justice, temperance, and transcendence had significantly greater impact on problem drinking and recovery (Logan et al, 2010). Self-compassion increases certain strengths. One study examined the predictive potential of self-compassion, which could be thought of as the character strength of kindness turned inward. Self-compassion correlated positively with wisdom/perspective and optimism/hope, among other positive benefits (Neely et al., 2009). Fewer physical symptoms, more optimistic life appraisals, more time spent exercising and improved well-being and optimal functioning (Emmons & McCullough, 2003). Increases in well-being among those with neuromuscular disease (Emmons & McCullough, 2003). Higher positive mood, optimism, life satisfaction, vitality, religiousness and spirituality, and less depression and envy than was found in less grateful individuals (McCullough, Emmons, & Tsang, 2002). How Does Sahaja Meditation Help Build Character? In fostering self-awareness and mindfulness, Sahaja meditation allows us to honestly and objectively discover and cultivate our character strengths, pinpoint our areas of weakness, and focus on improving traits. In influencing the subtle energy system, ongoing meditation allows us to experiment, verify results, and continue to evolve our character strengths to ever-higher levels. Ultimately, a Sahaja meditation practice enables you to develop the sensitivity to gauge your progress and make small course adjustments where necessary. And you can always return to the state of thoughtless awareness for an improvement boost. Avey, J.B., Luthans, F., Hannah, S.T., Sweetman, D., & Peterson, C. (2012). Impact of employees’ character strengths of wisdom on stress and creative performance. Human Resource Management Journal, 22 (2), 165-181. Biswas-Diener, R. (2006). From the equator to the North Pole: A study of character strengths. Journal of Happiness Studies, 7, 293–310. Bowers, K. M., & Lopez, S. J. (2010). Capitalizing on personal strengths in college. Journal of College and Character, 11 (1). Brdar, I., Anic, P., & Rijavec, M. (2011). Character strengths and well-being: Are there gender differences? The Human Pursuit of Well-Being, 145-156. Dahlsgaard, K., Peterson, C., & Seligman, M. E. P. (2005). Shared virtue: The convergence of valued human strengths across culture and history. Review of General Psychology, 9 (3), 203–213. Elston, F., & Boniwell, I. (2011). A grounded theory study of the value derived by women in financial services through a coaching intervention to help them identify their strengths and practice using them in the workplace. International Coaching Psychology Review, 6 (1), 16-32. Forest, J., Mageau, G. V. A., Crevier-Braud, L., Bergeron, L., Dubreuil, P., & Lavigne, G. V. L. (2012). Harmonious passion as an explanation of the relation between signature strengths’ use and well-being at work: Test of an intervention program. Human Relations, 65 (9), 1233-1252. Gander, F., Proyer, R. T., Ruch, W., & Wyss, T. (2012). The good character at work: An initial study on the contribution of character strengths in identifying healthy and unhealthy work-related behavior and experience patterns. International Archives of Occupational and Environmental Health. Gillham, J., Adams-Deutsch, Z., Werner, J., Reivich, K., Coulter-Heindl, V., Linkins, M., Winder, B., Peterson, C., Park, N., Abenavoli, R., Contero, A., & Seligman, M. E. P. (2011). Character strengths predict subjective well-being during adolescence. Journal of Positive Psychology, 6 (1), 31-44. Hunter, J. P., & Csikszentmihalyi, M. (2003). The positive psychology of interested adolescents. Journal of Youth and Adolescence, 32(1), 27-35. Hutcherson,C. A., Seppala, E. M., & Gross, J. J. (2008). Loving-kindness meditation increases social connection. Emotion, 8 (5), 720-724. Kruse, E., Chancellor, J., Ruberton, P. M., & Lyubomirsky, S. (2014). An upward spiral between gratitude and humility. Social, Psychological, and Personality Science, 1-10. DOI: 10.1177/1948550614534700. Laurin, K., Kay, A. C., & Fitzsimons, G. M. (2011). Divergent effects of activating thoughts of God on self-regulation. Journal of Personality and Social Psychology, 102 (1), 4-21. Linley, P. A., Nielsen, K. M., Gillett, R., & Biswas-Diener, R. (2010). Using signature strengths in pursuit of goals: Effects on goal progress, need satisfaction, and well-being, and implications for coaching psychologists. International Coaching Psychology Review, 5 (1), 6-15. Logan, D. E., Kilmer, J. R., & Marlatt, G. A. (2010). The virtuous drinker: Character virtues as correlates and moderators of college student drinking and consequences. Journal of American College Health, 58, 317–324. Madden, W., Green, S., & Grant, A. M. (2011). A pilot study evaluating strengths-based coaching for primary school students: Enhancing engagement and hope. International Coaching Psychology Review, 6 (1), 71-83. Mann, N. B. (2014). Signature strengths: Gender differences in creativity, persistence, prudence, gratitude, and hope. Dissertation Abstracts International: Section B: The Sciences and Engineering, 74(7-B(E)), np. Mayerson, N. M. (2013). Signature strengths: Validating the construct. Presentation to International Positive Psychology Association, Los Angeles, CA, 82-83. DOI: 10.1037/e574802013-112. Money, K., Hillenbrand, C., & Camara, N. D. (2008). Putting positive psychology to work in organizations. Journal of General Management, 34 (2), 21-26. Mongrain, M., & Anselmo-Matthews, T. (2012). Do positive psychology exercises work? A replication of Seligman et al. Journal of Clinical Psychology, 68 (4), 382-389. Neely, M. E., Schallert, D. L., Mohammed, S. S., Roberts, R. M., & Chen Y. (2009). Self-kindness when facing stress: The role of self-compassion, goal regulation, and support in college students’ well-being. Motivation and Emotion, 33, 88-97. Park, N., Peterson, C., & Seligman, M. E. P. (2006). Character strengths in fifty-four nations and the fifty US states. The Journal of Positive Psychology, 1 (3), 118-129. Park, Nansook, Peterson, Christopher, Seligman, Martin. Strengths of Character and Well-Being. Journal of Social and Clinical Psychology, Vol. 23, No. 5, 2004, pp. 603-619. Park, N., & Peterson, C. (2006a). Character strengths and happiness among young children: Content analysis of parental descriptions. Journal of Happiness Studies, 7, 323-341. Park, N., & Peterson, C. (2009a). Character strengths: Research and practice. Journal of College and Character, 10 (4), np. Park, N., & Peterson, C. (2008a). Positive psychology and character strengths: Application to strengths-based school counseling. Professional School Counseling, 12(2), 85-92. Park, N., & Peterson, C. (2008b). The cultivation of character strengths. In M. Ferrari & G. Poworowski (Eds. ), Teaching for wisdom (pp. 57-75). Mahwah, NJ: Erlbaum. Park, N., Peterson, C., & Seligman, M. E. P. (2006). Character strengths in fifty-four nations and the fifty US states. Journal of Positive Psychology, 1 (3), 118-129. 3. Park, N., & Peterson, C. (2006b). Moral competence and character strengths among adolescents: The development and validation of the Values in Action Inventory of Strengths for Youth. Journal of Adolescence, 29, 891-905. Park, N., & Peterson, C. (2006c). Methodological issues in positive psychology and the assessment of character strengths. In A. D. Ong & M. van Dulmen (Eds. ), Handbook of methods in positive psychology (pp. 292-305). New York: Oxford University Press. Park, N., & Peterson, C. (2009b). 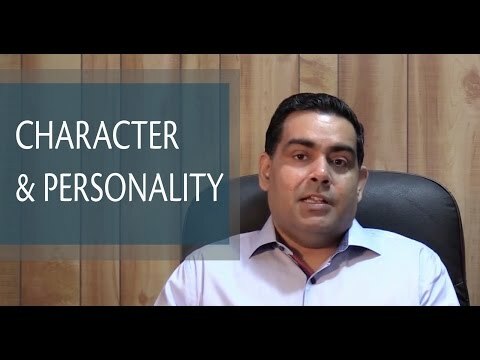 Strengths of character in schools. In R. Gilman, E. S. Huebner, & M. J. Furlong (Eds. ), Handbook of positive psychology in schools (pp. 65-76). New York: Routledge. Peterson, C., Stephens, J. P., Park, N., Lee, F., & Seligman, M. E. P. (2010). Strengths of character and work. Oxford handbook of positive psychology and work. In Linley, P. A., Harrington, S., & Garcea, N. (Eds.). Oxford handbook of positive psychology and work (pp. 221-231). New York: Oxford University Press. Peterson, C., Ruch, W., Beerman, U., Park, N., & Seligman, M. E. P. (2007). Strengths of character, orientations to happiness, and life satisfaction. Journal of Positive Psychology, 2, 149-156. Peterson, T. D., & Peterson, E. W. (2008). Stemming the tide of law student depression: What law schools need to learn from the science of positive psychology. Yale Journal of Health Policy, Law, and Ethics, 9 (2). Peterson, C., Park, N., Pole, N., D’Andrea, W., & Seligman, M.E.P. (2008). Strengths of Character and posttraumatic growth. Journal of Traumatic Stress, 21 (2), 214–217. 2. Proyer, R. T., Gander, F., Wyss, T., & Ruch, W. (2011). The relation of character strengths to past, present, and future life satisfaction among German-speaking women. Applied Psychology: Health and Well-Being, 3 (3), 370-384. Seider, S., Novick, S., & Gomez, J. (2013). The effects of privileging moral or performance character development in urban adolescents. Journal of Early Adolescence, 33 (6), 786-820. Sosik, J. J., Gentry, W. A., & Chun, J. A. (2012). The value of virtue in the upper echelons: A multisource examination of executive character strengths and performance. Leadership Quarterly, 23, 367-382. Sweeney, P., Hannah, S. T., Park, N., Peterson, C., Matthews, M., & Brazil, D. (2009). Character strengths, adaptation, and trust. Paper presented at the International Positive Psychology Association conference on June 19, 2009. Tedeschi, R. G., & Calhoun, L. G. (1995). Trauma and transformation: Growing in the aftermath of suffering. Thousand Oaks, CA: Sage. Weber, M., & Ruch, W. (2012b). The role of a good character in 12-year-old school children: Do character strengths matter in the classroom? Child Indicators Research, 5 (2), 317-334. Weber, M., Ruch, W., Littman-Ovadia, H., Lavy, S., & Gai, O. (2013). Relationships among higher-order strengths factors, subjective well-being, and general self-efficacy – The case of Israeli adolescents. Personality and Individual Differences, 55, 322-327. Wood, A. M., Linley, P. A., Matlby, J., Kashdan, T. B., & Hurling, R. (2011). Using personal and psychological strengths leads to increases in well-being over time: A longitudinal study and the development of the strengths use questionnaire. Personality and Individual Differences, 50, 15-19. Young, K. C., Kashdan, T. B., & Macatee, R. (2014). Strength balance and implicit strength measurement: New considerations for research on strengths of character. Journal of Positive Psychology.